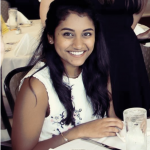 Deeksha Bathini is the Executive Opinion Editor at the Tufts Daily. Deeksha is a sophomore majoring in community health. Deeksha can be reached at deeksha.bathini@tufts.edu. All opinion section-related inquires can go to tuftsdailyoped@gmail.com.